Grew up with Panellinios Athens (Greece) youth teams. Made his debut with Panellinios Athens during the 2006-07 season. Moved to Spain for the 2008-09 season, signed by Real Madrid-2, LEB Bronze..back to Greece for the 2009-10 season, signed by Kolossos Rhodes. On February'12 moved to Greece, signed by PAOK Thessaloniki. Signed for the 2013-14 season by Panathinaikos Athens. 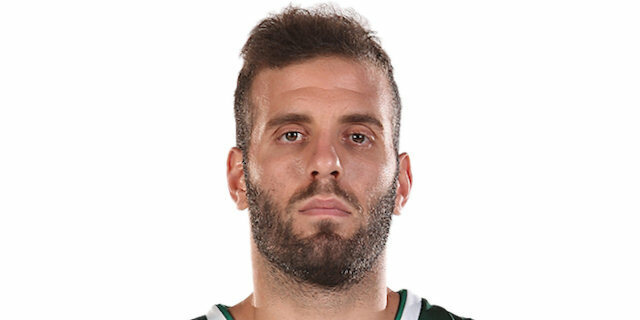 Named the 2014-15 EuroLeague Playoffs Game 3 MVP. Won the 2013-14, 2016-17 and 2017-18 Greek National Championship with Panathinaikos Athens. Won the 2014, 2015, 2017 and 2019 Greek National Cup with Panathinaikos Athens.